How do you do? My name is Miss Tootsie and I am a sweet as pecan pie 11 year old Doxie mix weighing in at 28lbs. Everyone around Pixie just adores me and says I am just so pleasant to be around. Though I am not quite as spunky as I used be, I still enjoy a short walk around the block and then it’s back to cuddling on the couch. I really enjoy meeting everyone, including cats, dogs, and humans of all ages. I am known as the mellow sweetheart and am up for just about anything-that requires a lot of activity that is. Ha! Because of my short legs, I have a hard time jumping up steps, so a home without a lot of stairs is ideal. 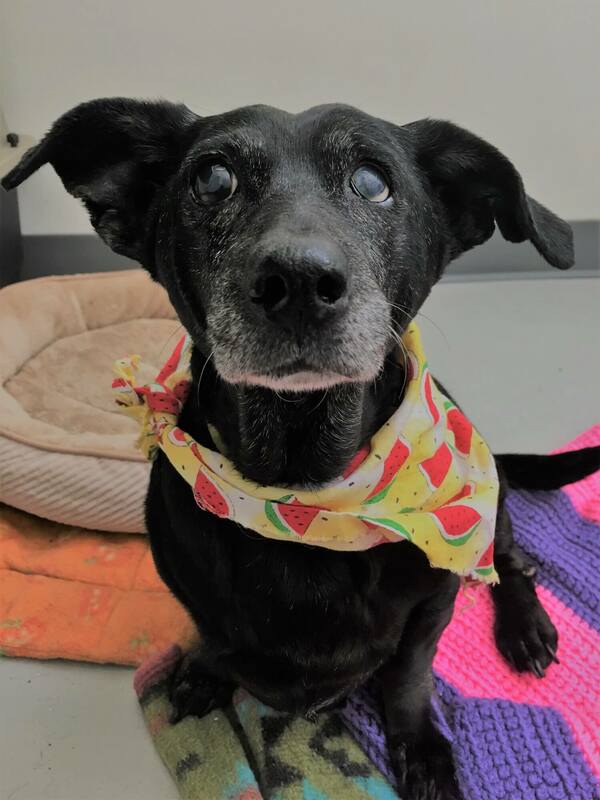 I am just a wonderful lady ready to retire into a quiet home with some friends who will cuddle, play some BINGO, give me lot of love- and treats, of course! Sound like your house? Then fill out an application today, so we can meet! I come to you spayed, vaccinated, micro-chipped with an up to date dental for an adoption fee of $200.